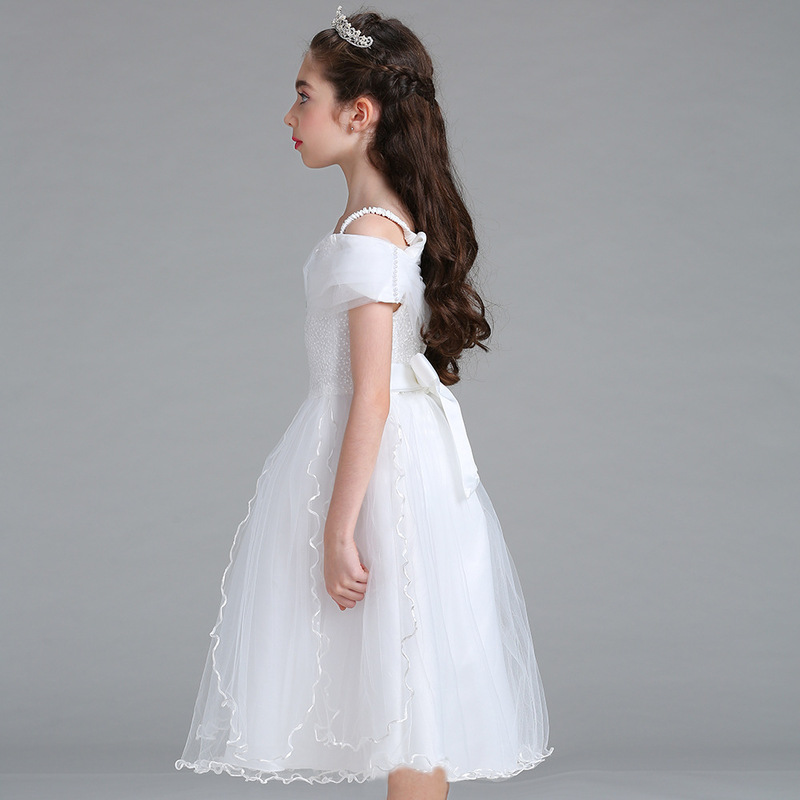 Little princess white flower girl dress with diamond stone brooch. 2. It is highly recommended you compare your own measurement with the size guide before choosing a size. 3. Due to manual measurement, please allow about 1-3cm measurement error (1cm=0.39inch).